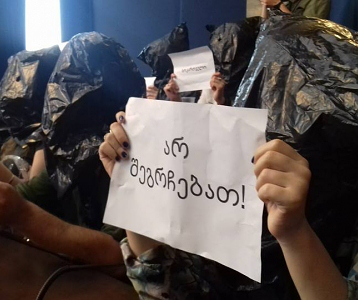 TBILISI, DFWatch–Trial over ownership of Rustavi 2 was postponed for Friday, amid eerie predictions of its director that the riot police has been put on alert in order to forcibly take over Georgia’s main opposition-leaning TV channel. 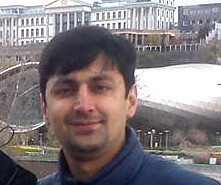 Nika Gvaramia, Rustavi 2 Director General, stated the judge’s decision over the litigation had been premeditated in favor of Kibar Khalvashi, the channel’s previous owner, who, according to Gvaramia and some opposition parties, acted as a puppet in the hands of authorities to shut down the country’s key independent media outlet. 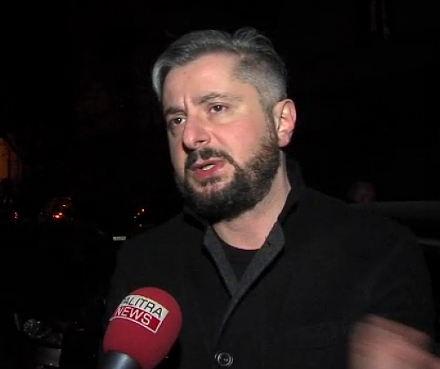 Earlier, late evening on Wednesday Nika Gvaramia threw an emergency press briefing appealing to ‘the supporters of Georgia’s democracy’ to come to Rustavi 2 building to defend it against impending raid of the riot police. “I have absolutely credible information,” Gvaramia said at the briefing. The Ministry of Internal Affairs, however, flatly denied this information, dubbing it as ‘nonsense’. 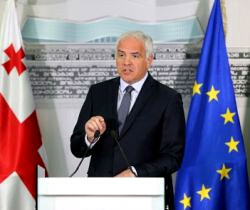 Gvaramia said that he expected the judge’s final decision to be issued on Thursday or Friday and, due to the ruling issued earlier, it would be implemented immediately. The decision would be in favor of Kibar Khalvashi side, who filed a lawsuit to reclaim Rustavi 2 from its current owners in August, Gvaramia said. The hearing resumed on Thursday but was postponed for the next day as the judge satisfied motion raised by the Rustavi 2 defense side to adjourn it as they had virtually no time to become familiar with the testimony of the key witness of Khalvashi side, who had been questioned the day before. Nika Gvaramia said during his briefing that the judge trampled principles of justice and his decision would actually be easily predicted, as he declined all of their legal motions. The authorities are muting the sole major critical TV channel in the country, Gvaramia added. 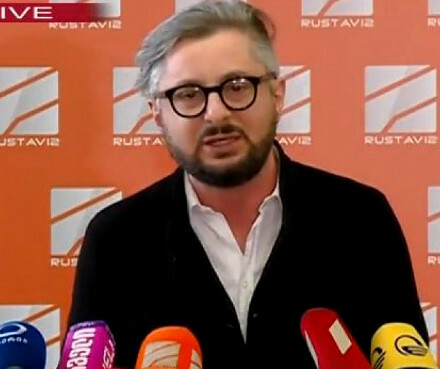 “Today or tomorrow fate of our country is decided, and it hinges on Rustavi 2,” Gvaramia said, adding that he wouldn’t obey ‘unlawful ruling’ of the judge, Tamaz Urtmelidze. During the court hearings Rustavi 2 current owners’ side several times demanded the judge to recuse himself in vain. A week ago Gvaramia had said that he’d been told to step aside from the Rustavi 2 case, otherwise threatened by publishing compromising videos. He also expressed his fear the judge was going to announce the ruling last Thursday in favor of the claimant, Kibar Khalvashi. He said he had received such warnings from a middle-man with authorities. The MIA immediately responded by a short statement published on its website calling Gvaramia’s statement about riot police’s preparations ‘complete nonsense and deliberate disinformation’, which ‘serves to mislead people and escalate tension’.